Winemaker Lot18 has teamed up with Ubisoft to produce a limited-edition collection of wine based on the mega popular and world-renowned Assassin's Creed franchise. These bottles make great gifts for fans of the worldwide hit game and film, as well as anyone who enjoys a quality bottle of wine. Each bottle will include a specially designed label, making it the perfect beverage anytime. Just as Aveline is the ultimate social chameleon, this French white blend is infinitely versatile, deftly tackling various food pairings and displaying different characteristics each time. The wine can be buoyant or rich, depending on the match — let it liberate your senses and challenge all that you know. Often misunderstood, Arno struggles with finding his way in the world, despite his pure intentions. Similarly, Zweigelt remains an obscure grape for many, but one sip will show you why it’s so popular in Austria. Vibrant flavors of plum, morello cherry and violet abound, revealing a romantic core that ultimately shines through. Displaying impressive finesse and flavors of red currant and savory herbs, this red is the embodiment of Altaïr. The Cabernet Franc grape tends to mature quickly, just as Altaïr became the youngest to obtain the rank of Master Assassin. Take a leap of faith with this dynamic wine and be reformed in your tastes forever. 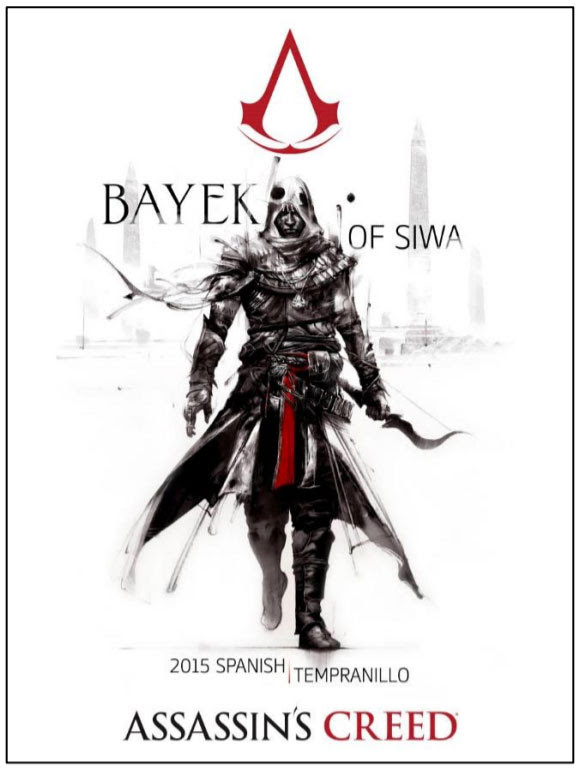 Only a variety as ancient as Tempranillo, thought to have given rise to Spanish wine as we know it today, could represent the character of Bayek, whose tenets for the Hidden Ones organization are the basis for the Assassin’s Creed. Here's a ripe, full-bodied and remarkable example that's as special as an Apple of Eden. Sometimes the most intriguing creations are born from forging the old and the new. 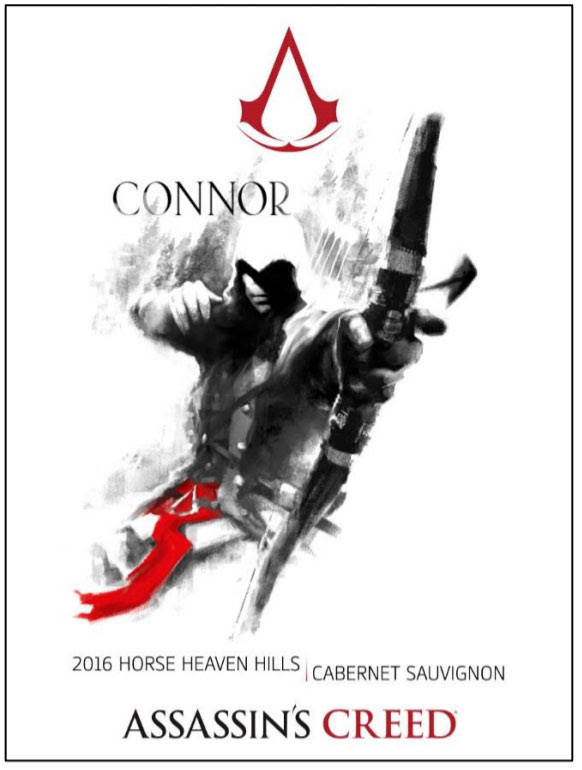 Such is the case with this New World take on Cabernet Sauvignon and namesake for the complicated character of Ratonhnhake:ton, aka Connor. Extremely complex, yet pleasing and balanced, this is a wine that has something for everyone. Sourced from Ezio’s birthplace of Tuscany, this red is charming and charismatic, like the Renaissance hero himself, displaying flavors of cherry and red plum on the palate. It's an enchanting Super Tuscan that will make you believe in the enlightened perfection that the Assassins know humans are capable of achieving.